On TV channels, magazine write-ups, blog features and Instagram photos, the Wonderful Indonesia campaign can be seen as one of the successful local tourism ad. The Wonderful Indonesia wins the best use of social media influencers and hence attracted many of us social media addicts (including me) to yearn for a visit to Indonesia. 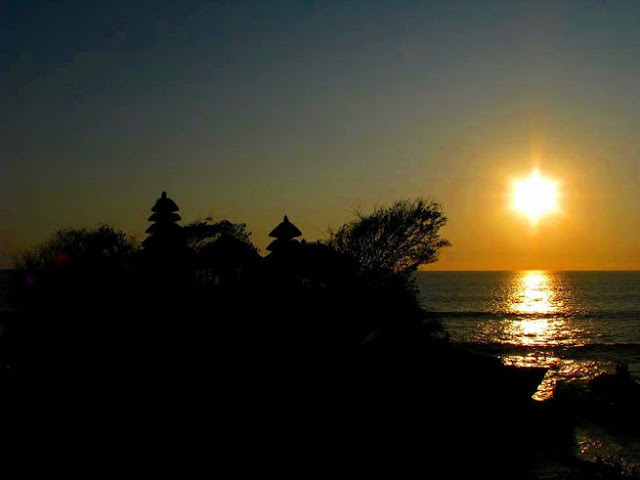 When we mention Indonesia, the first place that would pop-up on our mind is Bali (thanks to the feature in Eat Pray Love). Bali is a place that I have a strong love-hate relationship with. I love the places in general. They are really beautiful and as picturesque in real life as it is on photos. At the same time, I really hate the people. On the surface, they're no doubt friendly and put on those toothpaste ad worth of smiles wherever you go. Behind the scene, they're cunning people. I won't generalize everyone in this situation. When I mention 'they', I really mean those people who are in the tourism industry. I'm sure there are a lot of other good locals that I didn't manage to meet in person. A lot of people say to me that Bali is a nice place and they're very nice people. To be honest, I wouldn't go there if I am traveling alone. I've been there twice and I've encountered numerous times of getting cheated. Probably a lot more if you count those times when I'm not aware I've been cheated. Hmph. If you opt for private transportation, be sure to ask about the charges thoroughly. We booked a car and the price mentioned was fixed on the board. Nothing happened, until when we about to get down the car, and the driver asked for his OT payment. Apparently, there is an OT charges which they failed to disclose to us when we did our booking. It got me so mad because they don't factor in the time when the driver took a 15 mins stop for prayer and another 15 mins stop for a cigarette break. We were actually paying for his break in between and we weren't aware of it until the end of the trip. Lesson learned: Question every charges before you commit into paying for something. The second time when I aware I was being cheated is at a restaurant. The receipt shows funny description such as "tsunami donation". When we questioned the owner, she told us it is optional donation. It doesn't look like optional to me if they pre-charge us without letting us know. Lesson learned: Always ask for the itemized bill and question any item which you are in doubt of. If you are booking a non-commercialized hotel, be sure to check the reviews from previous guests. Or only book the place if someone recommended you to do so. The photos are often deceiving. I have a friend who suspected her Airbnb pat was not fully cleaned. There were stains of poo on the toilet bowl and strains of pubic hair on the bed. Will it get any worse than that? And they don't do any refund. She ended up paying for the 1 week at the Airbnb which she did not stay and 1 week for hotel. Lesson learned: Stay in commercialized hotel or check out independent reviews of the place. Beware of small stalls. If you have big notes, they always tell you that they don't have change and push you into buying more stuff. Or they will get a very small change from you. For example, not giving you back your change in coins. Normally we will ignore it. But if it happens to every customer, we are encouraging them to cheat more people. In the end it will become a norm. Lesson learned: Keep small change and pay exact amount. In every country, the small money changers are always the biggest cheater of tourist. They will take a small fee like commission (which if you agree, it would be OK). But sometimes they change the rates on the board and tricking you to think that it is the actual rate. Lesson learned: Change the money before arriving, at the airport or at the bank. I don't mean to scare you with these horror stories. But you should be extra careful with your money in Bali. The positive way to see it, they don't mean harm. They just want to earn some extra cash. As a tourist, it is really annoying. As always, travel safe. Go and see the world!